We, the team of the Nepali edition of The Upper Room, celebrated the edition’s first anniversary on June 29, 2013 at Lubhu Methodist Church in Kathmandu. We are very privileged to share our experiences regarding the Nepali edition and its first year of publication. Firstly, we the editors, along with all of our readers, cherish the daily spiritual meal we receive through this edition in our mother tongue. 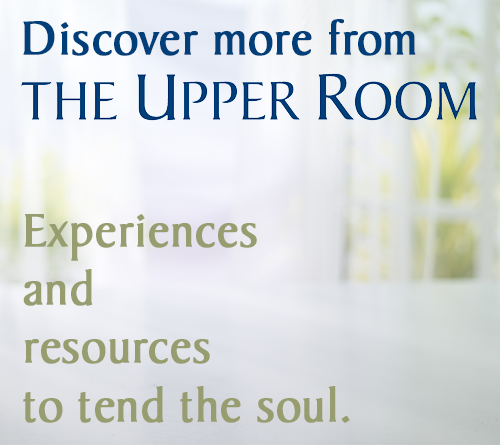 Now that The Upper Room is available in Nepal, our spiritual thirst has been quenched, as we are being led into spiritual growth. Many of our readers have admitted to us their previous failures to study the Bible, but now they openly share witness of how their hearts have turned back to the Word of God through this devotional guide. And it is amazing that because of this edition many believers from our church, who had previously left, have once again returned back in conviction. We distribute copies of the devotional guide to a local orphanage, churches, neighbors, pastors and evangelists. Their feedback and prayers bring us lots of encouragement. Our prayer is to extend the publication into Newari, another language of Nepal.